We are saddened to report the passing of wrestling legend Jim “The Anvil” Neidhart. He was 63 years old. Jim Neidhart was the father of WWE Superstar Natalya. He was a 2-time WWF tag team champion as part of the Hart Foundation with Bret Hart. Jim Neidhart earned the “Anvil” nickname in high school by setting records in shot put. He would later play in the National Football League (NFL) with the Oakland Raiders and Dallas Cowboys. In 1979, Neidhart became a professional wrestler after undergoing his training at the hands of Stu Hart in the legendary Dungeon. After some time in Japan, Neidhart signed on with the WWF in 1985 and was paired with a young Bret “The Hitman” Hart in the Hart Foundation tag team. Known by their bright pink ring gear, the Hart Foundation became two-time WWF Tag Team Champions. When Bret began his singles career, Neidhart stuck with him and eventually Brian Pillman, The British Bulldog Davey Boy Smith and Bret’s younger brother Owen joined the stable and the Hart Foundation became one of the premiere groups in wrestling leading into the Attitude Era. Later years saw Neidhart struggle with his health and personal problems. He was arrested in 2010 and charged with possession of controlled substances. He also attended two stints in WWE-sponsored rehab and was last seen on the reality show Total Divas with his daughter, WWE Superstar Natalya. 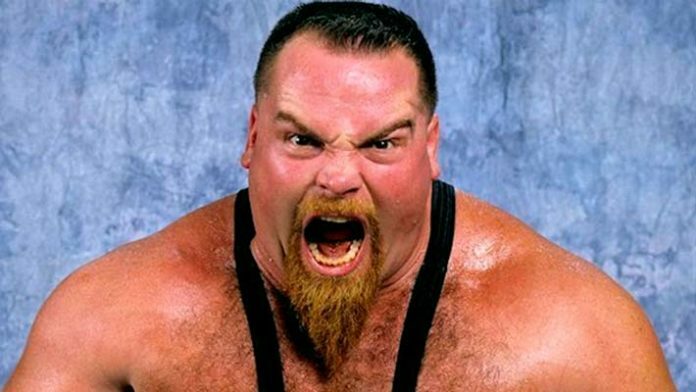 We send our deepest condolences to the family and friends of Jim “The Anvil” Neidhart. R.I.P. Jim "The Anvil" Neidhart. My heartfelt condolences to his family. Jim stood out in a unique world with one of a kind personalities. You can re-live some of the Anvil’s greatest moments below and on the WWE Network.